Jonah was in a pickle. I am pickle-prone, too. Crisis. 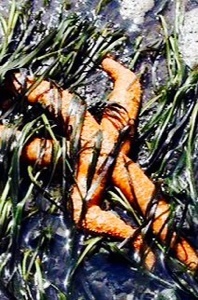 The daily battles wear blisters on my heart and, I find myself tangled endlessly in seaweed. The fight tires me … and when I call to my Savior, He releases juices of creativity. I don’t take to the idea that God causes pain and crisis. I just know they are part of life, and our Creator uses the havoc we create to move us to a place where we call to Him. Our voices trail from the emptiness of our depths into the temple of the Holy. His response then is the love we need to take us home, into His heart, again.